In “AppLocker – Case study – How insecure is it really? – Part 2” we concluded that there is 1 definitive bypass technique that works and 2 possible ones. 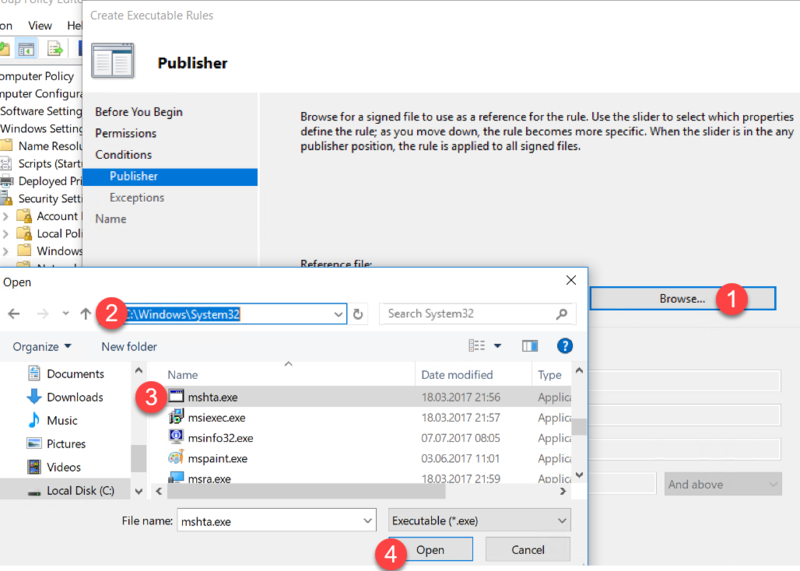 If you are concerned on blocking these executable’s I suggest that you implement the rule in Audit mode to uncover legitimate usage of the files. The definitive one was mshta.exe. This is pretty easy to block and there are different approaches to this one. This means that .HTA files will be opened in Notepad instead. However this is not bullet-proof since you can serve .HTA files from a webserver and define MIME type and still get it executed. 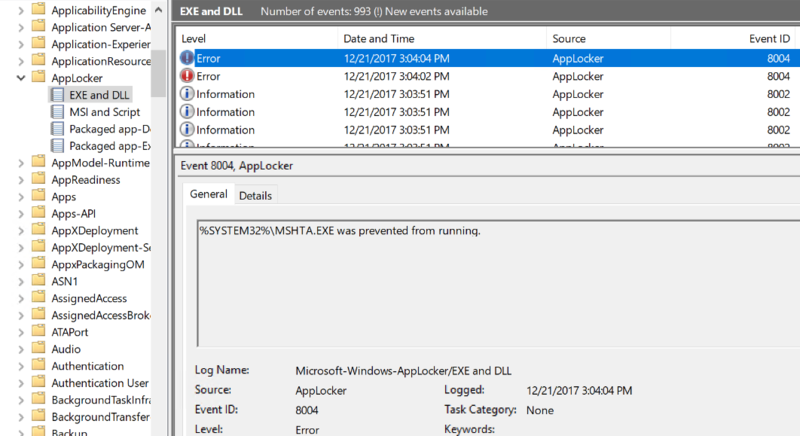 The other way is to block mshta.exe in Windows. This can be done with a deny rule in AppLocker. Now just click next next until you are finished. 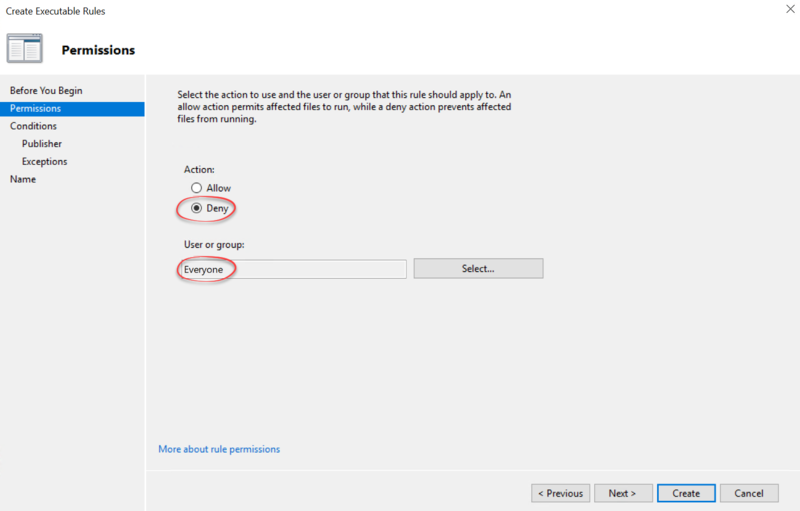 Now that the rule is in place you will need to make sure that the client receives his Group Policy first(run gpupdate). 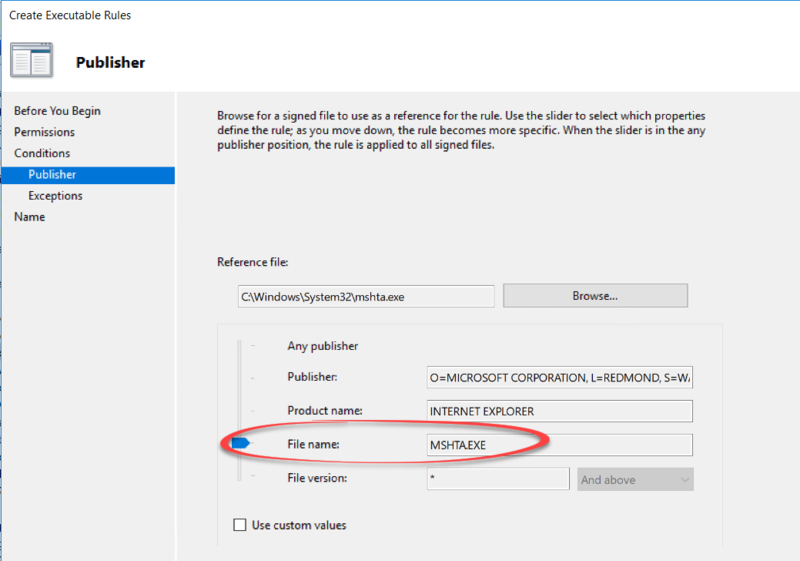 If you are running this on a single machine using local policy you will need to restart the Application identity service. Since we are not 100% sure about these bypass I choose to create a block rule for these as well. The method is exactly the same as above, just change the binary with the correct one. MSDT.exe is located in c:\windows\system32. PresentationHost.exe is located in c:\windows\system32. Has anybody ever ran into any issues by blocking msdt.exe? I am seeing it blocked a few times a week. Nothing malicious is trying to run it. Thanks!